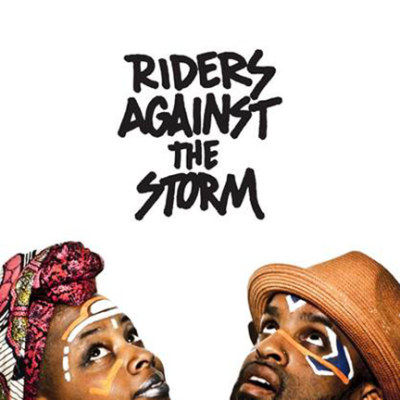 Local Austin band Riders Against the Storm (RAS) has made waves recently in the city&apos;s music scene as the first hip-hop group to win band of the year at the Austin Music Awards. 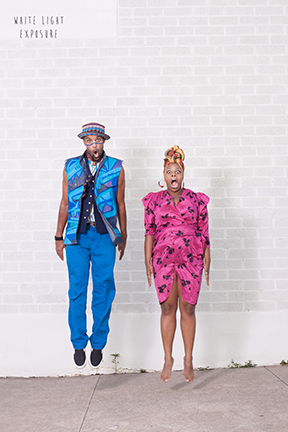 The husband and wife duo of Jonathan "Chaka" Mahone and Ghislaine "Qi Dada" Mahone took some time to discuss their musical style, Austin&apos;s music vibe and where they like to go for food and fashion. Q: Your music career has taken you all over the country and you could easily settle in a different city. Why have you made Austin your home base? What makes it special? Chaka: We feel like Austin does a lot for artists as opposed to other cities. There are places like HAAM (The Health Alliance for Austin Musicians), the Austin Music Foundation, AFM (Austin Federation of Musicians) and others that are specifically for artists. For artists that are actually trying to establish a career and actually have that career sustained, I feel like Austin is one of the best cities you can live in. Other cities [sometimes offer] more industry [variety], but Austin has more infrastructure [for] the actual well-being of the artist. We know we work on the business end of things and [we&apos;re] developing that, but well-being is [a] higher priority than the business aspect. It&apos;s more important for us to feel healthy. Q: Other than hip-hop, what is your favorite genre of music? Qi Dada: Wow. I really love traditional music from my family&apos;s island home of Haiti. I love folklore music from there, I love the kind of traditional music from there, the dance music from there, it&apos;s called compas. Chaka: I like soul music, Curtis Mayfield and Marvin Gay. And reggae music. Q: What should first-timers expect from one of your shows? Chaka: A lot of energy, good vibes. Expect to dance, or at least be pushed to dance. Expect to feel good. Q: Where do you most like to listen to live music? Chaka: There&apos;s no one particular place, we like different places for different reasons. There&apos;s no one place that&apos;s like our spot in Austin, that&apos;s one thing we hope develops. I like going to Empire [Control Room & Garage] because of the production, they have great [shows] there with projections. I like going to Parish, because the sound is really great. I like going to Sahara Lounge because it&apos;s more like a neighborhood feeling and vibe. We like going to Scoot Inn, it&apos;s outdoors, and we like being outdoors. Q: Before you head out on a tour, do you have any must-eats at local restaurants? Chaka: One of our favorite places is Veracruz Tacos, it&apos;s a food truck. Queen Lola&apos;s on Rosewood is also one of our favorite places, it&apos;s like New Orleans style soul food, like Creole, Cajun food. But Veracruz is definitely our favorite spot in Austin. Q: If people were coming into town to visit you, where would you take them around Austin? Chaka: We love going to this spot called Twin Falls, it&apos;s one of our favorite places. We&apos;d probably take them to Sahara Lounge for a party at Body Rock, we do a party called Body Rock ATX the first Friday of every month. Definitely take them to Veracruz Tacos, we do that with anyone that comes in. Try to take them to see some of the artists that are here, you know, that are making great music. Qi Dada: And Kenny Dorham&apos;s Backyard. It&apos;s hard as an artist to think of places, because we&apos;re usually working when we&apos;re out. Q: You&apos;re shopping for new clothes to wear on stage. What local stores do you visit? Qi Dada: Golden Bones. We really like the Buffalo Exchange. Blue Velvet. Um, garage sales (laughter), those are big for us. A lot of our clothes we make actually, and hopefully soon we&apos;ll be able to display some of that. Q: If you could describe the Austin music scene in three words, what would those be? Qi Dada: Austinites love music. Chaka: Growing, vibrant and undiscovered. To hear tunes from RAS and other local artists, pick up the new Austin Music, Volume 13 at the new Visitor Center, or stop by for the bi-weekly visitor center music series.